This is a Table mat. It was manufactured by Deerfield Society of Blue and White Needlework (American, 1896–1926). It is dated ca. 1910 and we acquired it in 1985. 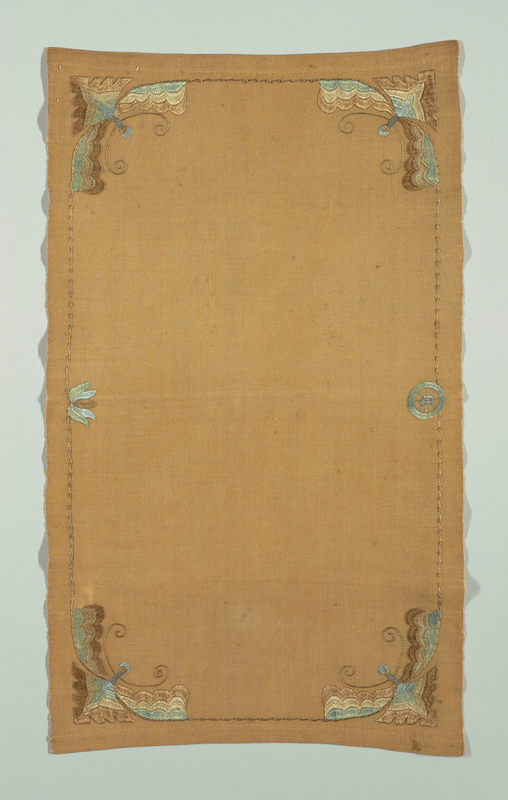 Its medium is linen and its technique is embroidery on plain weave. It is a part of the Textiles department. It is credited Gift of Margery B. Howe.